Very rarely do homes of this size and scale make themselves available to the local marketplace. These are typically, '10 year homes' or 'homes for a generation' and it's easy to see why. Number 37 Ardmore Road comes complete with a designated second living area, 4 bedrooms and 2 bathrooms, scullery, internal access double garaging plus the all-important volume and size required of homes in this bracket. A very rare opportunity to stretch out and relax in a gorgeous family home that offers immense levels of storage and sun plus loads of separate spaces. 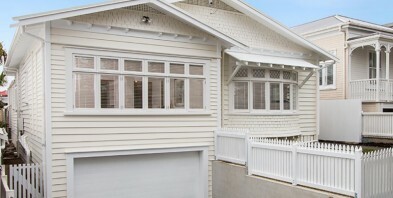 Freshly and cleverly renovated with west facing deck and lawn and ready for your inspection this weekend. This is an Avenues home you will simply not want to leave.